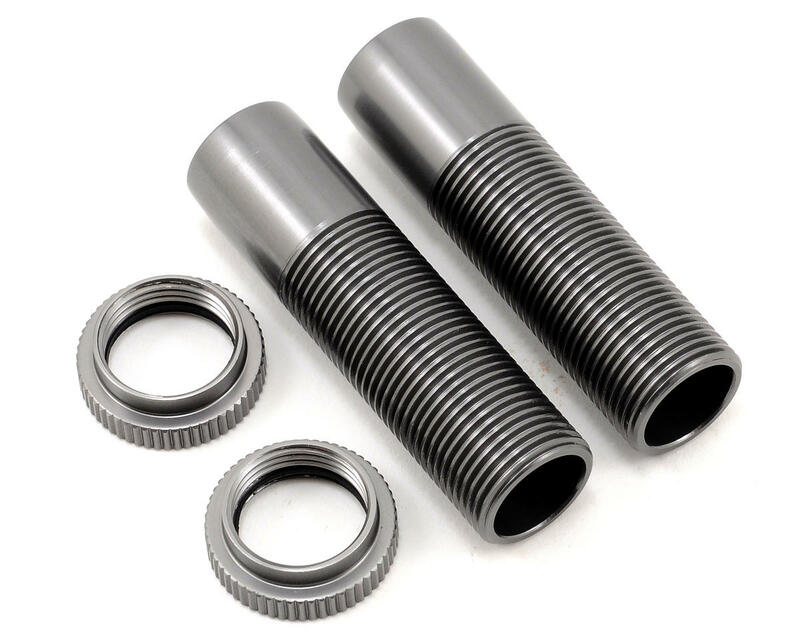 This is an optional ST Racing Concepts CNC Machined Shock Body and Spring Collar Set, and is intended for use with the Axial Wraith and Axial EXO Terra Buggy. These CNC machined aluminum shock bodies will help to increase durability compared to the stock shocks, and add great looks to your ride. These bodies feature threaded bodies and included pre-load collars that will allow you to make fine ride height adjustments. The pre-load collars use pre-installed o-rings that will help to hold the pre-load position firmly in place. 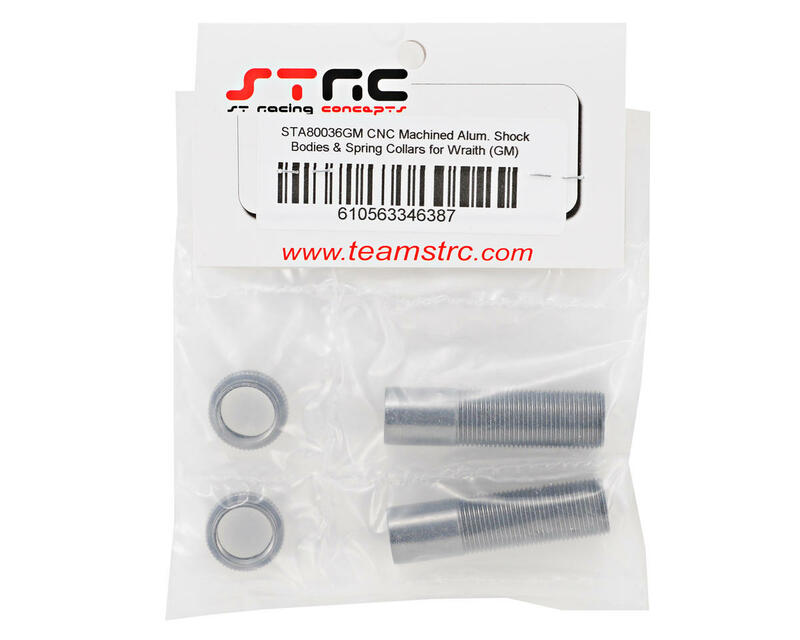 Combine these with the ST Racing shock caps (SPTSTA80035), to complete the conversion!